Deep in the woods of northern Maine there lies a town, a town that has never been recorded on any map. 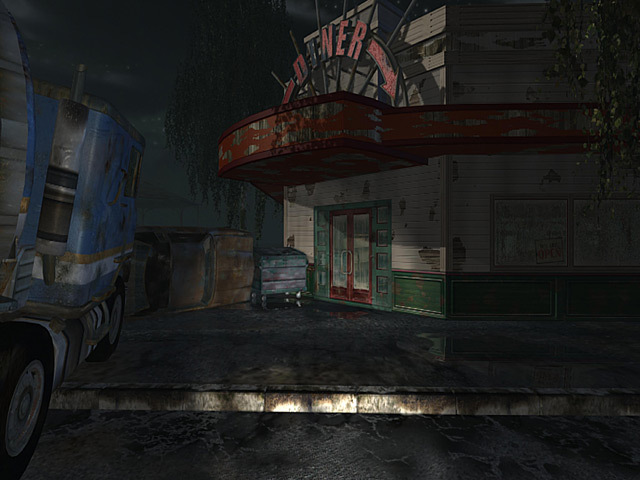 For twenty years the town has stood vacant after all occupants vanished one fateful night. The voices have called to Delaware and as he explores the Town with No Name he comes to realize that the most important secret he's about to uncover is his own. 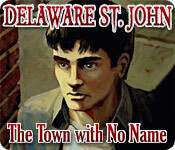 Explore a mysterious city in Delaware St. John – The Town with No Name, a spooky Large File game. Delaware St. John: The Town with No Name is rated 3.2 out of 5 by 16. 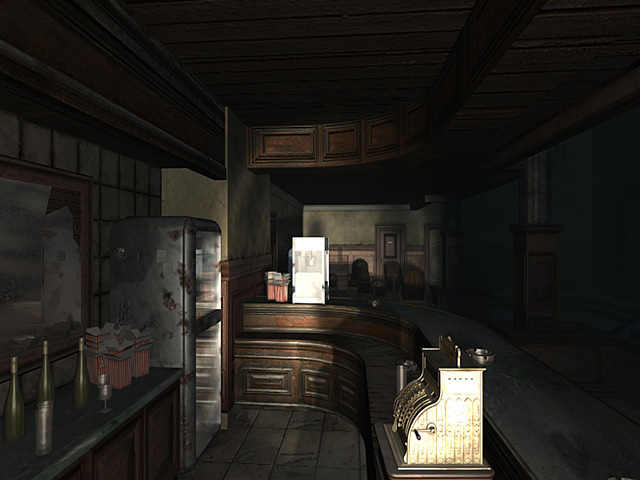 Rated 5 out of 5 by 186FleetStreet from Great for fans of "Odd Thomas" Even though I had to go to tech support at first for the game crashing, it ended up being really fun once I got it to work. Rated 5 out of 5 by kristie1952 from Excellent! I've had this game on disc for a while and am absolutely delighted that BFG brought it to my attention. Now it can be stored with them and I don't have to fiddle with loading and storing. This game is for those who love to solve thinking puzzles as there are no HO scenes. Although the graphics are static, the story line makes up for all of that lack of eye-candy. This is a good old fashioned, solve the mystery game. Rated 5 out of 5 by AdventurePaul from Play and thrill! This game has a great atmosphere. Darkness, shadows, threats, spooks and mysteries will ensure your fun. No blood, no violence, no death: but there's fear just the same. Mysteries are not too difficult to solve but... keep ready to run! VIC system seems slow at first but... while advancing through the storyline it reveals to be useful. 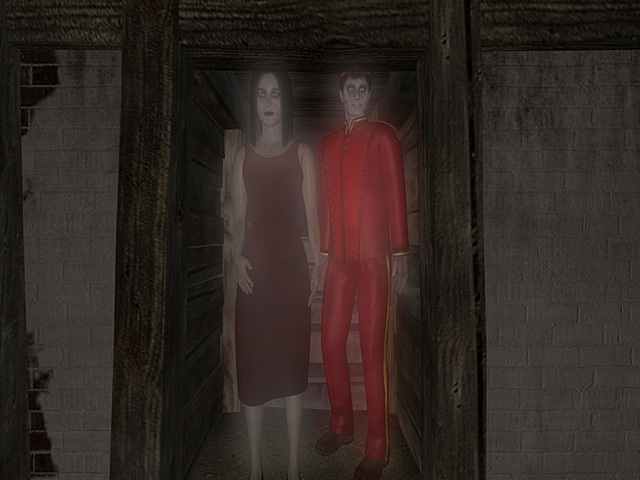 I love ghost stories and this is an attractive adventure game. Rated 5 out of 5 by TCLucas from Delaware is going places! I just finished both chapters of this game and I love it! The story line is great and even though you think you know what is going to happen I have a feeling a twist will come our way. playing POV is great and the "chase scenes" are fun as well. This is now my new favorite game. Thank you Sundancer! this game is a blast! Rated 4 out of 5 by Sergeij from A Good Game for Ghost Hunters! BIG TIME GAMES and SUNDANCER managed, somehow, to pull off a pretty good "spook fest" using just a minimum of personnel. Granted, the graphics leave something to be desired, and there is really only ONE real person (Delaware St. John) seen in the game, nevertheless, there is an air of pervasive darkness and gloom, apparitions of spirits, and excellent timed chase sequences. The puzzles were super-easy, but that's a small detail. BIG TIME needs to develop a two or three character interplay in their games. If they do, they will be very big winners! Rated 4 out of 5 by clankerrlady from Pretty Good Game It is hard to find a game that is not "hidden Object" I like a game that makes me think. It has a good story line and if you have a fast speed internet connection it is worth the large file download. I am a "myst" gamer and I wish there were more games like that. Rated 2 out of 5 by Mrs_Kim from Boring and slow OK, this game is better than their very first but it is still having the unskippable dialogue, credits and doors locked everywhere. Only very few places can be accessed and the rests are just dummy doors. The ghosts are not scary at the very least, they are bit stiff and the dialogues between Delaware, Kelly and Simon are just too much. Not to mention they cannot be skipped so you have to listen to it everytime if you click it in the same place. For just 30 minutes I encountered 20 locked doors. Inventory items almost non-existent and it's annoying to find out where they can be used. In conclusion: improvement than the first game but still lacking in charm. Rated 2 out of 5 by mrm2006 from Terrible Game. I'm not even going to bother with my usual review giving details about storyline, graphics, sound and game play because it was just that terrible I'm not going to waste my time. The tutorial was very helpful. Best part of the game. You enter the town. But, no matter where you go, there is nothing to do - nothing to pick up, move, no HOG, no mystery. What's the point of this game????? I wish I knew. There's no map so getting around is impossible and you get stuck in many dead ends and trying to go "back" to get where you think you ought to be? Well, you don't end up there at all. This Glam-ma exited t his game and uninstalled it after 20 minutes. I cannot in good conscience encourage anyone to even try it. Go, run and find a much better game anywhere on the BF site. Help Delaware St. John explore the Town with No Name in northern Maine and discover some important secrets about himself!